Today is an exciting day everyone! Not that the majority of my days are not exciting with my special brand of cynical-optimism but this one is especially exciting! 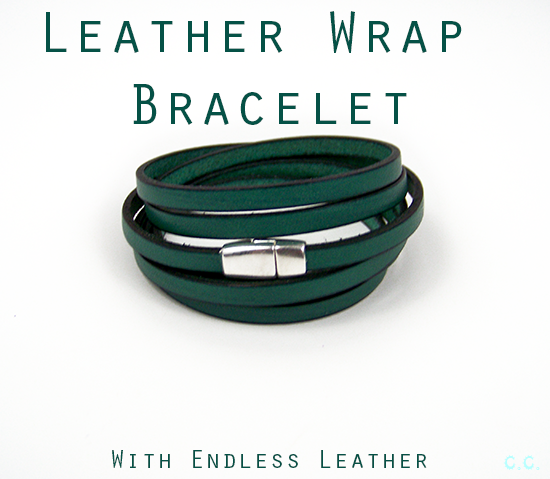 I am proud to announce that today's post was brought to you by EndlessLeather. 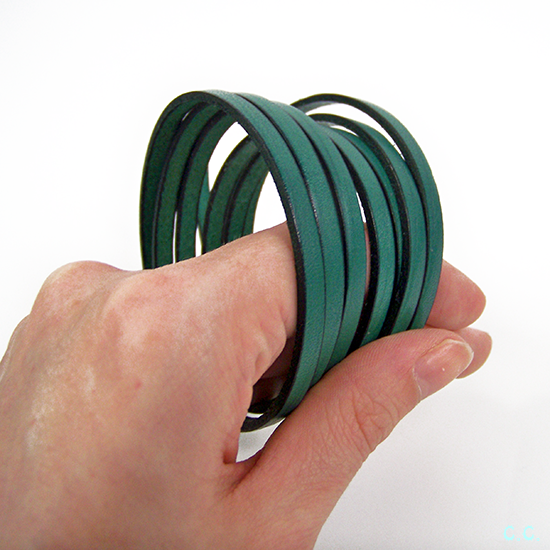 You can make this simple modern bracelet in about 3 minutes! 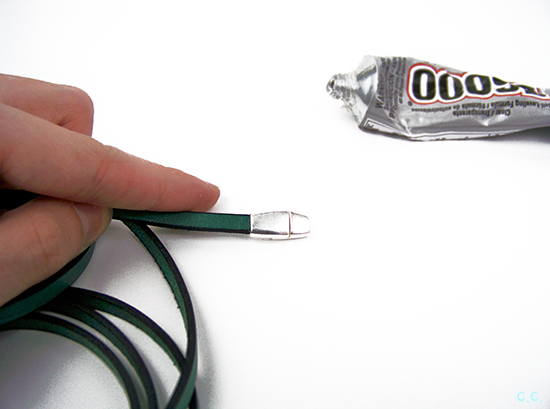 (not counting drying time) More leather tutorials to come later, read more of this one below. 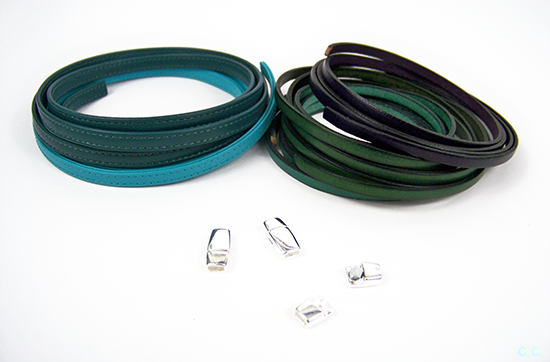 EndlessLeather supplied me with some very beautifully colored high-quality leather straps for a few tutorials as well as some jewelry findings. So thanks once again for that EL! 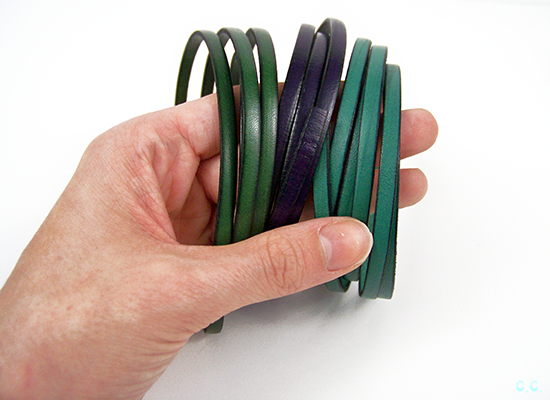 I loved the array of color choices and my brain was boggled at all the different kinds of leather straps they have in stock, as I had never really used this supply in my crafting before. That only made this collaboration better though, because I hope to be able to cross beginning leather-working of of my life to-do list after these tutorials. 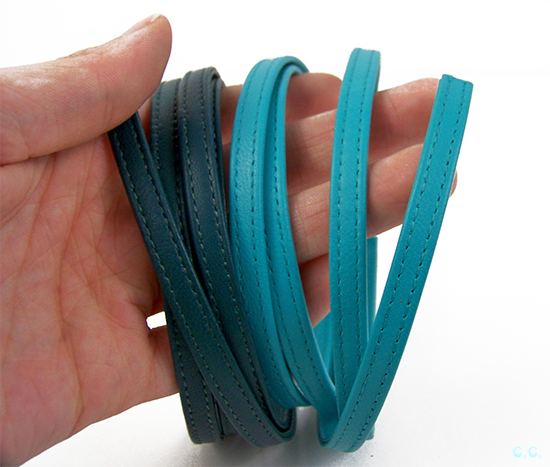 I chose the double stitched 7mm in Petrol and Turquoise, and the black-edged 5mm flat laces in turquoise, violet,and green. Here is the leather we're going to be using for the first project! This teal blue reminds me of my favorite color growing up. 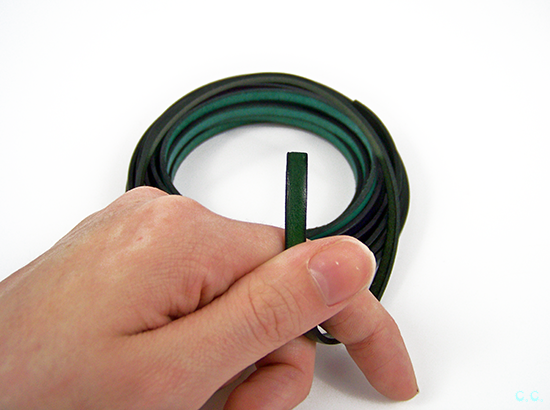 This shot is to help demonstrate the width of the strap, this is one of the 5mm. 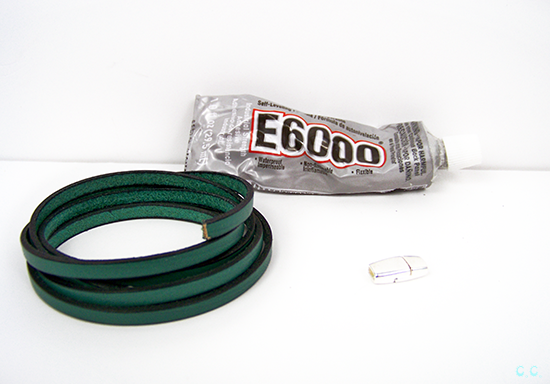 Step 1: Apply a dab of E6000 to the end of your leather strap and insert in into one end of your bracelet clasp. Step 2: Repeat step 1 on other side. 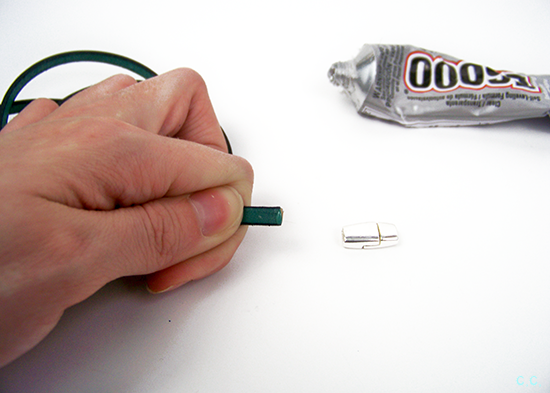 I think this officially takes the cake for being my easiest tutorial to date. I am not normally a girl for simple accessories...or simple anything really, but I'm digging the baseness of this bracelet. 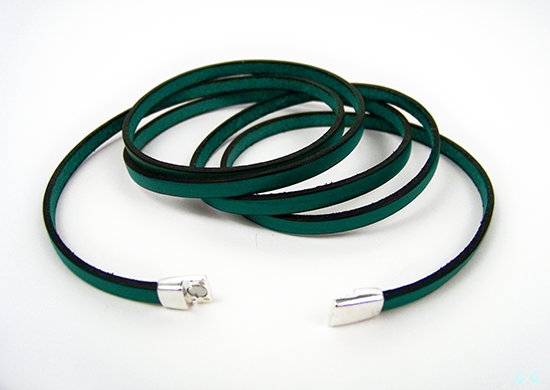 It really lets the leather and that to-die-for teal to speak for themselves. I've got at least two more project's worth of leather here, if not more so make sure to stop back by for the follow ups! This is an affiliate post, I was compensated with free supplies for this tutorial in return for sharing my honest opinion about the product. I am not compensated if you purchase anything from any of the links provided. wow, this looks like something that even I could do! 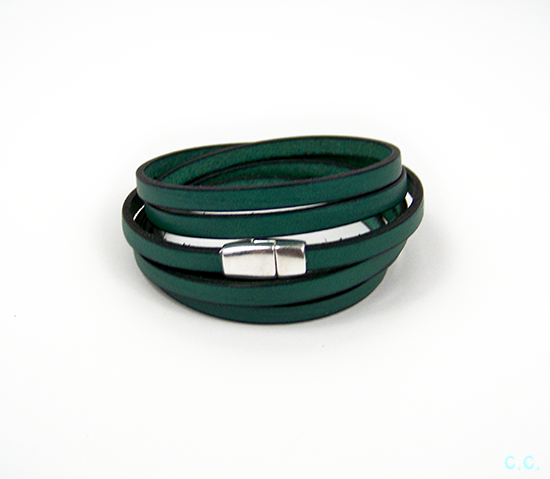 Where did you get the magnetic clasps?